HOT DEAL: KEF slashes £200 off KHT2005.3 speaker package | What Hi-Fi? 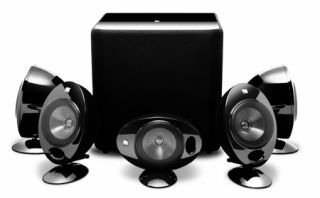 Here's a bit of good cheer for Monday morning – KEF is slashing the price of its KHT2005.3 surround speaker package by £200, bringing it down to £600. The promotion, part of the company's ongoing 50th anniversary celebrations, runs for 50 days until July 9th. The KEF KHT2005.3 is a long-time favourite of ours and won a 'Best Style Speaker package' Award (£500-£800) in 2008. All KEF's KHT series UK retailers will support this latest offer, so check out the company's website to find your nearest stockist.